These delicious Baked Pumpkin Donuts with Cinnamon Glaze are perfect along side a cup of coffee on a cool, crisp fall morning. When it comes to breakfast, I just love a good donut. Don’t you!? 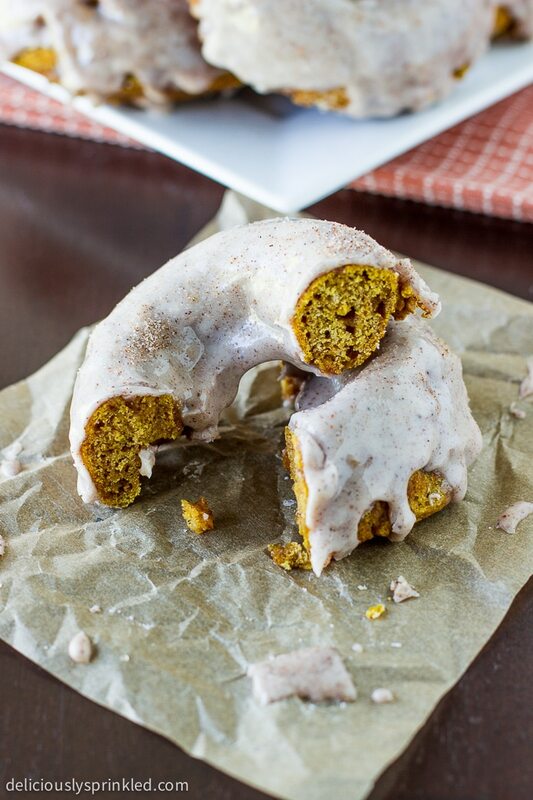 My all time favorite donuts are the ones with sprinkles on top but my second favorite kind of donut are definitely these delicious baked pumpkin donuts with cinnamon glaze. To get the perfect pumpkin spice flavor that we all love, I used my favorite Pumpkin Spice Bakery Emulsion from LorAnn Oils and Flavors. Check out their website for the Pumpkin Spice Bakery Emulsion I used in this donut recipe and all the other amazing oils and flavors. To fill the donut pan with the pumpkin batter, I find it easiest to use a cookie scoop. I scoop about two scoops of batter into each donut mold. Then I used the back of a spoon to spread the batter evenly into the donut mold (see Step 4 image below). For the cinnamon glaze, I dunk eat donut into the glaze at least TWO times to get a nice, thick layer of delicious cinnamon glaze (see Step 6 image below). Preheat oven to 375F degrees. Spray donut pan with non-stick cooking spray. Set aside. In a medium sized bowl, whisk together flour, baking powder, salt, baking soda, nutmeg, and cinnamon (see Step 1 image above). Set aside. In a large bowl, cream together brown sugar, pumpkin, eggs, milk, unsalted butter, and pumpkin spice bakery emulsion until combined (see Step 2 image above). Slowly mix in dry ingredients until just combined (see Step 3 image above). DO NOT OVERMIX! Using a cookie scoop, scoop pumpkin donut batter into each donut mold (about two scoops of batter for each donut mold). Using a the back of a spoon, spread the pumpkin batter evenly into the donut mold (see Step 4 image above). Bake donuts for 6-8 minutes or until the donuts spring back when touched. Allow to cool completely before topping each donut with cinnamon glaze. To make the cinnamon glaze: In a small bowl, mix powdered sugar, milk, cinnamon, and nutmeg until smooth and creamy (see Step 5 image above). Dunk one side of each donut into cinnamon glaze, place on wire rack pan to set (see Step 6 image above). Dunk each donut a second time into cinnamon glaze for the perfect glazed donut, optional! 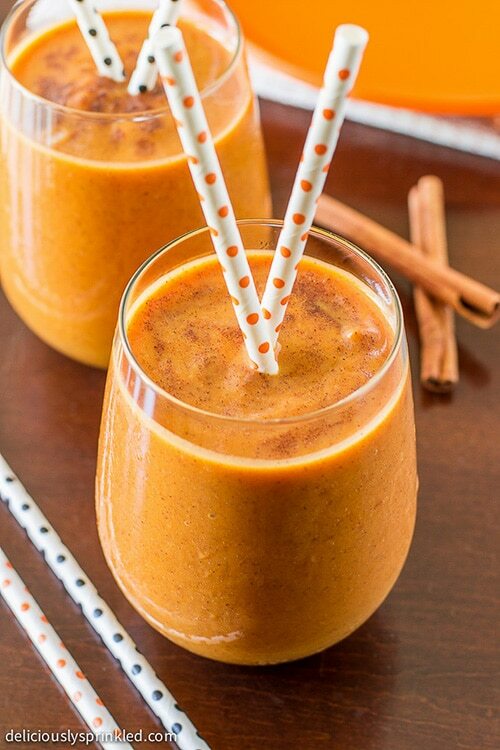 This Pumpkin Spice Smoothie goes perfect with these donuts! *Disclosure: I was not compensated for this post, however I did receive a sample for my review. All opinions are 100% my own and not influenced in any way. Just made these and it’s amazing! Thank you so much for the recipe!! So making these as muffins is fine? Should anything be changed? I’m so glad you liked my Baked Pumpkin Donuts. As far as the glaze, sometimes if the glaze is too tan I add a little more powder sugar and a TINY bit of milk. You don’t want the glaze to be too runny, so you kind of have to play around with adding more powder sugar to get the exact white color and a thicker consistency. And don’t forget to TRIPLE dip each donut…dip donut into glaze, let set for a minute or two, dip donut again into glaze, let set for a minute, and dip donut for a third time into glaze! 🙂 Hope this helps! Sorry about the multiple comments. Before it wouldn’t let me post, but then my previous comments magically appeared. These were delicious! I made them in a muffin tin because I couldn’t find a doughnut pan at the store. I have a question about the batter. What is the difference between doughnut batter and muffin batter? There is not much of a difference, other than donut batter is much more thicker because donuts are more dense then muffins are. 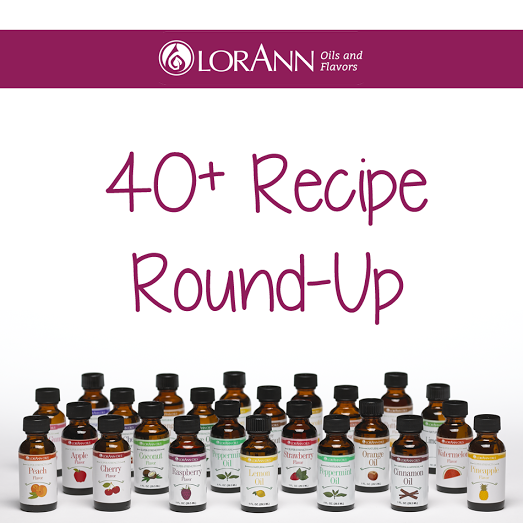 I love these recipes they are all so good! 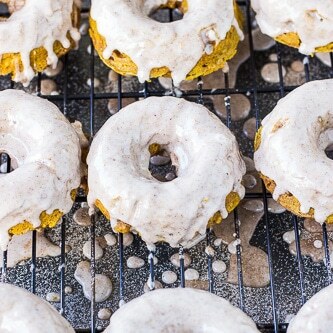 Jenn you had me at donut, these pumpkin donuts look so yummy! 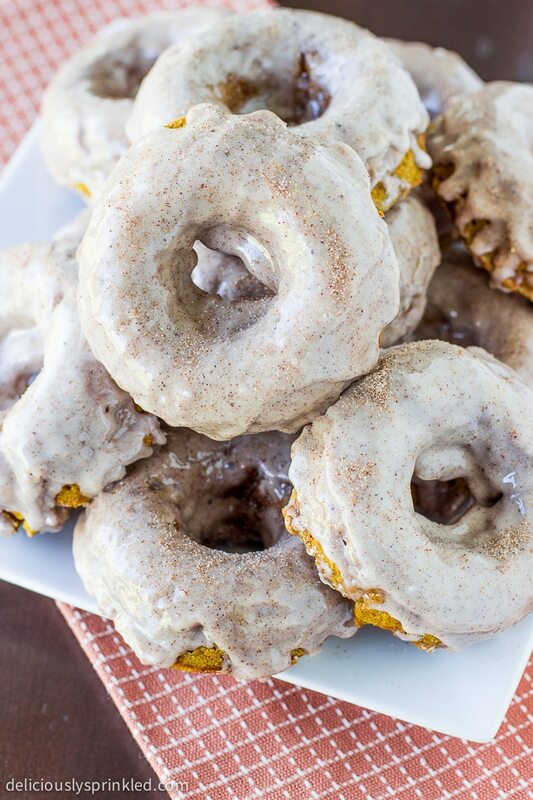 I definitely need to get my hands on a donut pan asap so I can make these delicious pumpkin donuts! Wishing I could devour one right now, they look so good! I’ll take at least half a dozen please 🙂 These look great! OMG! This donuts look amazing! I want to reach through the computer screen and grab one. I have to make these soon. Oh my! If I only had one of those with my coffee right now, I’d be a happy girl. These donuts look perfect for fall and for breakfast! Those donuts look amazing! So pumpkin-y and I love the thick glaze on top!!! Perfect fall breakfast!!! I have never baked donuts before but should do it because it is healthier than frying. I am making all sorts of pumpkin desserts this week and I am tempted by your recipe. These look so good! And a great way to start the day!! I’ve never heard of pumpkin spice emulsion… I’ll have to head over to the website and check it out! These look amazing Jenn! I love how thick that glaze is! Donuts is something I haven’t experienced with much…. going to need to break out that donut pan soon though!